Here is the layout map for Transition. It will look slightly different to this Aerial Photo as a lot of work has been done to improve the Car Park. There is on-going building work but this will not impact on the race. The Exit & Entry Points will be the same as the Transition Map below. 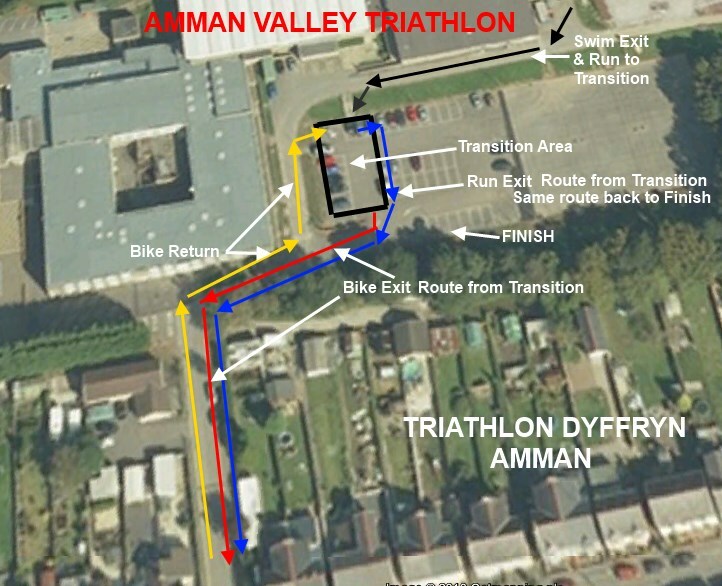 Transition area will be secured with crowd control barriers and we will have marshalls there at all times. You will only be allowed into the Transition area after you have Registered. Only triathletes will be allowed into the Transition Area.